Reebee's is giving away prizes from Henry's today! 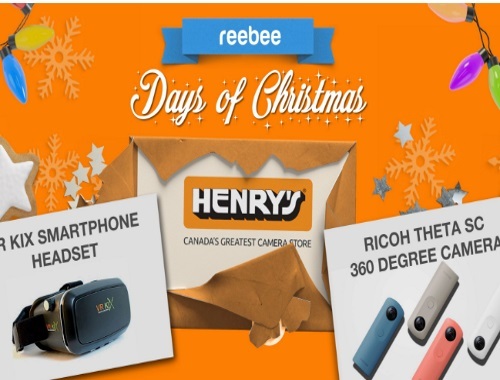 They are giving one lucky Reebee user a Ricoh Theta SC 360 degree panorama camera and a VR KiX smartphone headset. Offer is available today only, Friday, December 16, 2016.